Suzanne Green has been a professional Realtor® since 2007, and is consistently ranks in the top 5% in sales for the Indianapolis and surrounding areas. Dedicated to helping buyers and sellers primarily within Hamilton and Boone Counties, and the north side of Marion County. Understanding that today's market is not only local but also may vary from street to street, allows Suzanne to expertly assess a home's value. That experienced guidance is appreciated from luxury homebuyers to first time homebuyers alike. Sellers value Suzanne's in depth knowledge of strategic marketing, home staging direction and her unique understanding of today's buyer, resulting in quicker sales and higher sales price. Suzanne happily lives in Fishers, IN with her husband, Carl, and dog, Herbie. Four grown children, and the cutest grandbaby in the world, complete her home life. A strong advocate for children, Suzanne supports Smile Train, Humanity First, and a local shelter, food and clothing pantry, Third Phase. Suzanne is also a board member of Beach Bum Cares, which champions education and health care to under served children in third world countries. We got lucky coming from Alaska to Indy we needed a home and quick. It was impossible to find short term rents that were reasonable so we started home shopping. Suzanne was the first realtor we met and the last. She found us THE PERFECT house immediately and had us closed quick! Less than a month quick! At the closing table it was clear she was our advocate and kept asking questions on our behalf, things we had not thought of. She's not pushy or sneaky (unlike some realtors.) She is clearly hardworking and willing to answer any and all questions. She was willing to meet with us at our convenience and was very easy to communicate with. We were lucky to have her as our agent I STRONGLY encourage you to get ahold of Suzanne and know you're in good hands. Suzanne has demonstrated to me over the course of 10 plus years that she is knowledgeable, trust-worthy, and probably the best darn real estate professional I have ever known. I have sold 2 (and just sold my 3rd) homes with Suzanne and bought two (soon to be 3)! She a highly skilled negotiator. and has demonstrated to me that she can navigate even some of the more treacherous transactions (short sales and bank owned homes). 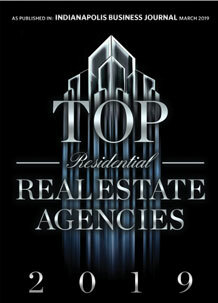 "Suzanne Green is *hands-down* one of the most talented & professional Realtors around! We are so grateful to have found such a loyal and committed agent to guide us through all aspects of the home-buying process. Her dedication and advanced knowledge & expertise made for a wonderful experience all-around. She got us our DREAM HOME!